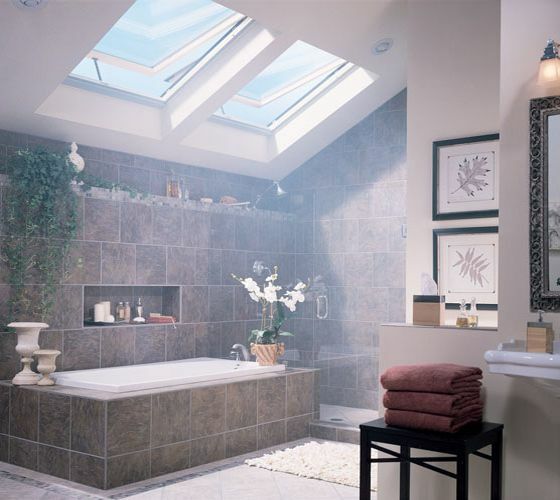 Velux skylights are designed for overhead, out-of-reach applications or for in-reach applications that do not require egress/emergency escape capabilities. Available as electric venting, manual venting, or fixed skylights, they come in a wide range of sizes and features with a full assortment of blinds and accessories available. Velux roof windows are designed for in-reach applications that require egress/emergency escape capabilities. Examples include above-garage bonus rooms, lofts, and finished attic spaces. Also available at WindowRama: Sun Tunnel tubular/solar tube skylights. 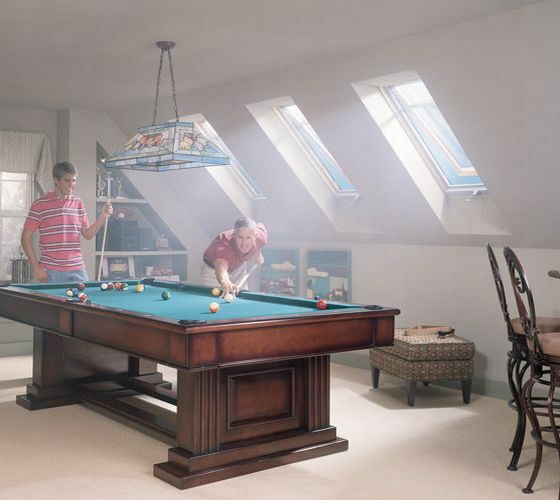 VELUX Sun Tunnel skylights are ideal for smaller rooms such as closets, hallways, laundry rooms and second baths. You can now add natural light to places you thought were impossible. Available accessories include blinds, shades, manual and electric controls, and more. Ask your WindowRama salesperson about blinds and shades; manual and electric controls for operating skylights, roof windows and blinds; energy-efficient glass options; insect screens; and the new skylight trim kit that provides a professional finished look for skylight retrofit projects. Convenient showrooms serving Long Island, New York, Connecticut and New Jersey. The factory-trained experts at your local WindowRama showroom in New York, Long Island, New Jersey and Connecticut can show you great ideas for bringing light into any room with innovative, energy-efficient skylights, roof windows, and solar tube skylights, all at competitive prices. Stop by with your project details today! Our Full Line of Velux Roof Windows & Skylights: Roof Windows, Skylights.